The Beckett Replacement Oil Burner Pump comes with pd timer to easily add pre-purge to non-prepurge controls. If your oil pump has failed or needs to be replaced you can rest easy knowing that the Beckett Burner Corp has a replacement waiting for you. Oil pumps can break due to age or possibly because of mechanical failure inside of the pump. 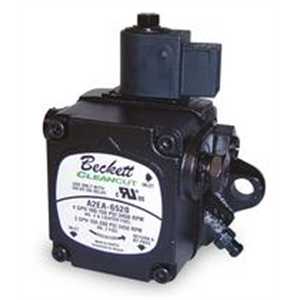 The Beckett Oil Pump is a single stage pump with an integrated solenoid valve. You can have an oil burner technician come out to your house or place of business and replace the Beckett oil burner pump for you. This replacement oil pump for the Beckett Burner costs around $68.00. 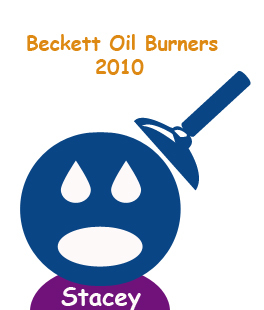 Although extremely dependable oil burners, there is always the possibility that something can go wrong. Should there be any performance issues or otherwise with the burner, then check that there is power being supplied using a volt meter. Power surges are quite common and all it takes is to replace the fuse – it may look alright, but you had best check it with a meter just to be sure. Once you can be sure that the power is working, and then check that the controls are all in working order. On the grey box on your Beckett pump, press the red button – this is the Protectorelay reset – and this should start the motor. If not, there could be a power outage with the motor. A mistake that is quite often made is to not buy more oil. Running out of oil for heating happens a lot, but do not fret, as it is easily remedied. You need a container which is capable of holding flammable liquid, and make sure it can hold up to 5 gallons of liquids. Locate the nearest store which sells regular diesel or kerosene – not gas, but regular, you never use gas in your oil burner. Now you just have to filter the liquid in, let it settle for about ten minutes, then try and use the burner. This should be your fuel problems sorted! Another common problem with an oil burner motor is that it stops spinning, and thankfully, this is not quite so difficult to fix as a pump replacement! The oil burner is the round, black object on the right hand side of the burner. There are two screws that hold the motor on, so you need to need to remove both of these screws from the main burner body. Check for cracks afterward to ensure everything came off properly. Unhook all the wires on the motor, make a note of where you unhooked the wires. 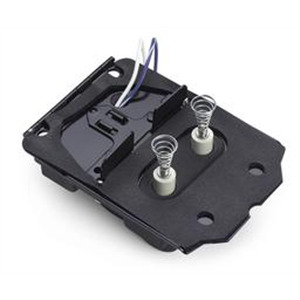 Loosen the screws on the fan and remove the screw, and you can reinstall the motor when everything is fixed. Install the fan onto your replacement motor. Put the couplings back in – be careful with this, it’s easy to get it wrong – and tighten the screws on the motor, and then test the fan to make sure it is not sticking. Sometimes it can be too tight with the screws and this can cause problems. Hook up the wires according to your notes, and then once finished up – replace the protectorelay on the junction box if you have to – and you can turn on the oil burner and that should be you! Remember that everything has to be handled with safety, especially wires and any of the parts – you do not want to have to hunt for a spare part all across the internet! However, with safety and care, all you need to do now is make sure that your pump does not break! If it does though, you can get in contact with us for an instant estimate. Maǥnificent website. A lot of usefսl information here. Ӏ’m sendingg it to some pals ans also sharikng in delicious. And of course, thanks tо your effort!